If yes, you are on the correct page. This article offers a deep insight into online course design and introduces you to the ways for improving the course quality while enticing more learners towards it. Before that, let us apprehend the concept of online learning, and understand why learners would want to browse your online course when they can still learn the same through classroom training. The concept of eLearning and online learning platforms came with the evolution of web technology and enhancement in two-way communication channels. The strategy was to offer a platform where involved parties can do more than just reading or writing in the HTML tags. The innovators aimed for building an interactive environment where one party can design an experience and another party can consume in the same manner as set by the designer. The online courses are nothing but a set of learning materials designed using texts, multimedia, and navigational flow. It actively involves the analytics that tracks assessment and consumption of the knowledge material by the learning party. Be it an educational institute like MIT, any corporate MNC, or a professional eLearning marketplace like Udemy, each sphere has adopted the ability to teach and learn in the online environment. While MIT offers free online courses and certifies the learners, corporate organizations utilize online teaching to train their employees spread across the globe. Contrastingly, platforms similar to Udemy have adopted eLearning as a business, and are offering quality courses to the learners. Why eLearning Is Getting Popular? Experiencing a relatively exploded growth, eLearning among corporate organizations has grown by a fabulous amount of 900% since the past 16 years. With this growth rate, eLearning industry will become a $37.6 billion market by the end of 2020. MNCs use eLearning to leverage a central platform for synchronously training their employees spread across different countries. Educational institutes use online learning to offer study materials in a 24x7 environment. Moreover, many institutes offer separate degrees and diplomas based on assessments done through online Learning Management Systems. MIT open courses are the perfect example of the same. Learners prefer online courses to avoid hectic traveling or moving experiences to the physical establishment of the educational institutes for perusing higher educations. These are few but enough reasons to explain why eLearning is getting popular day after day. A question might arise here; why did we not start directly with the main topic of the article? 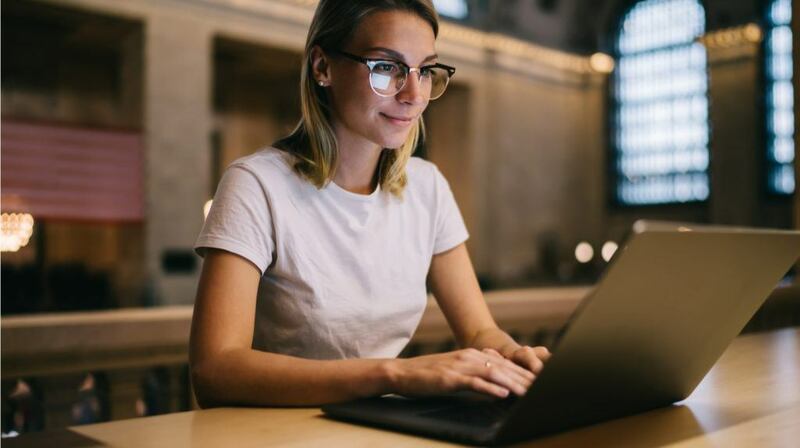 To give a suitable learning experience, it is critically important to comprehend the motive with which learners come to the online learning platforms. Now that we developed an understanding of the same, it would be easier to comprehend the ways listed in the article for improving the quality of your online courses. So let us begin with it. Lack of learning motivation and engagement in students. It is a challenging task to engage the students in online mode and expect the same level of attention from them. Non-mobility of online courses. Many online courses are available in desktop versions only. Students find it difficult to browse the pages on their mobile devices. Complex course structure. Learning is best when comes in a flow. It is a challenge to structure a flow comprehensible by the learners of all level. Many times, students find it difficult to navigate on the eLearning websites. Complex tech savvy requirements for course creation. Not all subject experts are tech savvy. They hardly comprehend the HTML and CSS concepts. Therefore, it is difficult to come up with an online teaching platform offering quality course creation without being a little complicated. An absence of efficient course analytics. Online teaching is incomplete without assessing the progress of learners. It is a complicated implementation, and even some of the best eLearning platforms lack analytics. Most of them depend on additional Learning Management Systems to analyze teaching and learning progress. Outdated course content. Courses once created and uploaded on online learning platforms remain there for a long time. It is important to update the courses and information regularly to comply with the latest events and requirements. Monotonous course design. Online teaching is not just about creating PDFs or Slides. It is a combination of numerous ways to transfer knowledge using multiple mediums. A course merely designed on slides or text-based formats sounds monotonous and fails to engage the students to the desired level. What Affects The Quality And Performance Of Online Courses? Before purchasing an online course, learners encounter with the course title alone. The course title must clearly pass the comprehension of the actual content. If the title itself is ambiguous, you might end up with non-interested students who would simply discard and go for a stronger alternative. A good start ensures an anticipated ending. Learners must comprehend the aspects they are going to learn and the prerequisite skill required to complete the course efficiently. A proper course introduction can ensure that only the competent learners are enrolled in a particular course. When creating online courses for selling, it is imperative to offer a preview of the course. It is like testing a product before buying it. A comprehensible walkthrough will not only ensure good conversion rate but would also enhance the learning experience by letting the students know about things they can expect from the particular course content. Without assessments and analytics, one cannot ensure if courses are doing their job. It is critical to discover if your students are actually being profited. A proper analytics on the grounds like lessons completed, assignments completed, assessment tests completed, marks scored, etc. will let you track the teaching and learning progress more efficiently. Learning is tremendously affected by the architecture of the courses. One must comprehend the ways to organize different topics in a comprehensible structure. The course structure must keep a continuous flow of the information being imparted. You cannot just jump from one topic to another in any random order. Start a new lesson only after ensuring that learners are well equipped with pre-required knowledge for the upcoming topic. Trainers get a major comprehension of their teaching efficacy when students ask questions. Unlike physical classrooms, students cannot ask questions on the go. However, some of the best eLearning platforms offer alternatives to conduct two-way communication between the two parties. For example, social media sites, on-site live chat, direct messaging, discussion forums etc. Contemporary learners do not depend on computers and laptops to browse the eLearning sites. They utilize their smartphones to access almost everything on the internet. Online courses not designed to fit on the smaller screens can lose a huge traction that comes through the smartphones. You can go for a mobile-friendly site or a dedicated eLearning app to leverage the huge traffic from the mobile phones alone. Features to design, edit, and share online courses on different platforms. Abilities to create courses in different formats like text, video, and audio. Methods for monetization of the courses. Collaborate users with different access-level for creating, editing and sharing the courses. Assess and generate reports for learning and teaching progress. One cannot simply possess all the skills required to design a perfect online course. A team that consists of professionals like Subject Matter Experts, photoshop designers, animators, typists, website admins, video editors, and many more, collaborate together to design a worthy course material. To maintain a synchronization in the team, it is critical to use project collaboration tools. Many of the good authoring tools provide built-in collaboration tools; just make sure you get one. Learning is best when done in modules. Micro-modules can transfer information 17% more efficient than the traditional methods. Moreover, with 300% lesser time, you can create microlearning courses more speedily. In fact, microlearning can boost the course engagement by over 50% more than what you have been getting already. To utilize eLearning at its best, make use of micromodules and avoid creating huge topics in a single segment. The topics and lessons you are going to cover. Skills that would be imparted after completing the module. Doing so will offer an insight into the aspects that learners must presume to get from the particular course. Post completion, both parties can tally the listed outcomes with the experienced outcomes and judge the course efficacy. Designing independent modules is a crucial aspect in microlearning. For most of the modules, you can design the content that allows students to comprehend a lesson without depending on the other lessons in the course. The asynchronous nature is, however, tough to achieve – one can create a highly effective course if achieved successfully. One of the best ways to achieve this is by offering hyperlinks to the sections where the particular topics have been explained. For example, while covering a tutorial for HTML5, you can hyperlink a section where you have talked about the differences between HTML and HTML 5. To keep a continuous flow of learning, learners frequently navigate from one page to another for comprehending the related topics. It is the same as we do while reading a book, turning from one page to another and one chapter to another, in search of the topics related to the current lesson. Make sure to offer different shortcuts and indexes to let learners navigate from one page to another without any hassle. Do not depend on a text-only approach for designing your courses. Make full use of relevant images, video, and animations to present the lessons in the most comprehensible way. Lessons taught through multimedia are easy to grasp and students retain the concepts and ideas for a longer time. This might sound counterintuitive in a competitive scenario where every course creator would like to promote his or her own learning material. However, if you are in terms with a well-known author or veteran educationist, getting an input will only enhance your course credibility. Moreover, mentioning their contributions would let the learners have an authority on the lessons taught in the course. Be it a collaboration for editing or a contributed chapter, anything would work in favor of your online course. Allow group discussions and moderate it. Build a social media community and have discussions there. Conduct assessment quizzes after completion of each module. Grade the quizzes and show them their assessment reports. New courses or chapters published on the website. Discounts and offers on the courses. Questions asked by fellow learners on the discussion forum. Latest events and current affairs for general knowledge etc. Many times, learners fail to see the value or advantage of an eLearning course. It is not their fault, but the mistake of an author. He or she just failed to design a course that talks for itself. Like every other industry, eLearning is likewise full of challenges and opportunities. By working on the shortcomings and leveraging the opportunities, you can always create effective courses and earn money and authority from them. If you can overcome the above hurdles and implement the enlightened pieces of advice, you can easily come up with courses that talk for themselves. Courses that actually help learners while constructing a strong portfolio for you as an online instructor.